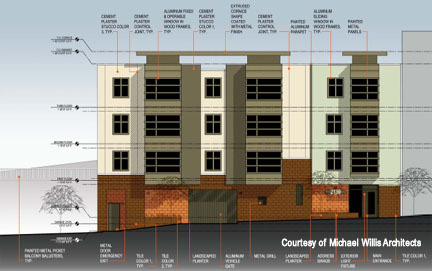 Service: Our team provided preconstruction services including Cost Estimating and Scheduling. Description: New construction of three-floor complex consisting of 21 housing units, landscaped 2nd floor terrace, and a basement garage. Project included demolition of existing Kaiser Facility and relocation of Kaiser shuttle parking.